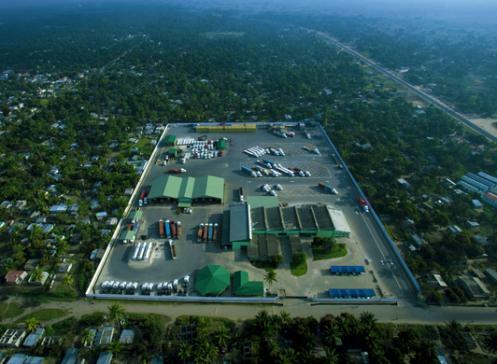 Over the past years Beira port has become the most agile gateway to serve the Central Mozambique, Malawi, Zambia, Eastern DRC and Zimbabwe markets. Sandwiched between behemoths Durban to the south and Dar Es Salaam to the north as the main entrances to Eastern and Southern-Africa up to now, Beira's claim to a place in the sun has not been easy though. But thanks to port operator Cornelder and a concerted effort from key stakeholders such as CFM, Customs, the transporter community and Beira City Municipality, the port has achieved the status of a reliable, cost-effective and agile transportation hub for more than 50 million consumers in countries who import their goods through Beira or the several global companies that export through this port. The process of catapulting Beira from a sleepy, shallow, paper-based port to a hidden gem involved massive investment in dredging, port facilities, warehouses outside the port, major investment in IT and process automation by Mozambique Customs, a constant push for better roads, new services provided by the shipping lines and last but not least herculean efforts by transporters to cater for the incoming inflow of cargo that has finally happened. 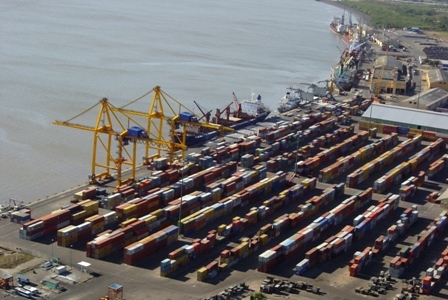 Challenges still exist, as normal in this part of the world, but so far the Beira logistics corridor has persisted in becoming the alternative for cost-effective, fast and reliable transportation. J&J as a transporter in this corridor has done its share of investment. Invested in people, our biggest asset, growing our number of hires by 15% in the last year. The reality is that Beira doesn’t get much in the spotlight. People’s perception of Beira is still based on operational realities of 10 or more years ago. After dredging the channel and huge infrastructural investments Beira must be considered as an alternative to Durban and Dar Es Salaam for shippers who need a fast, cost effective and no headaches logistics solutions in this part of the world to avoid congestion, escalating costs and unpredictability of nearby alternatives. 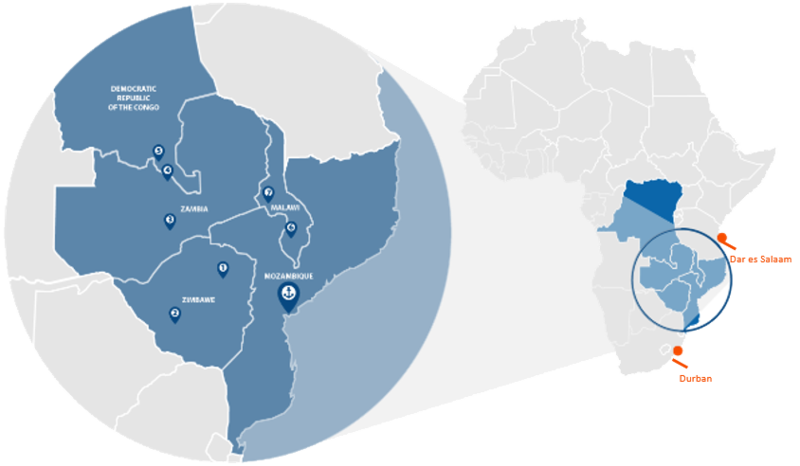 The map below shows you the comparitive benefit of using Beira.